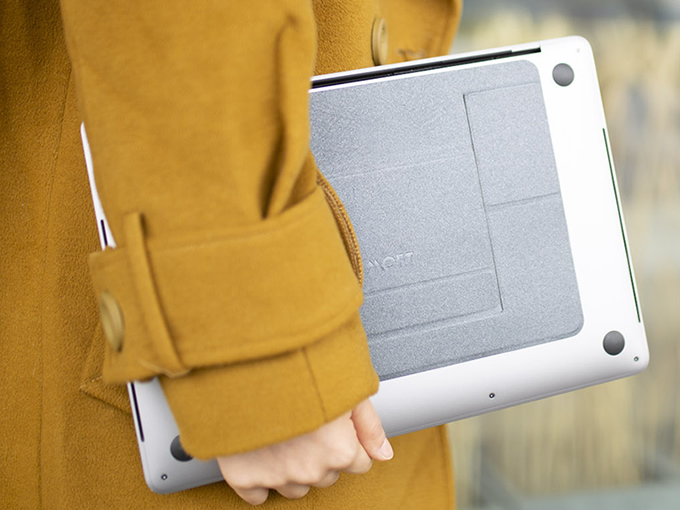 An adhesive laptop stand makes you move freely and enjoy ergonomic comfort anywhere. Weighing a mere 2.3 oz. and only 1/9" thick, you just might forget you're carrying MOFT around with you. 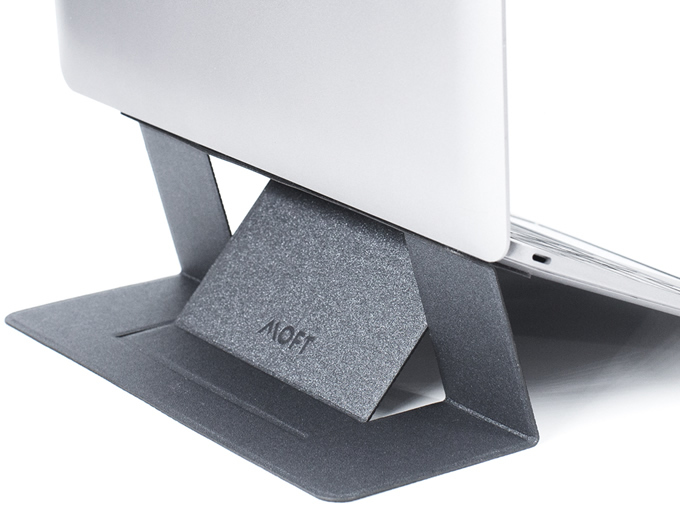 And for the benefits MOFT stand provides as a mobile workstation, its small measurements are that much more impressive! 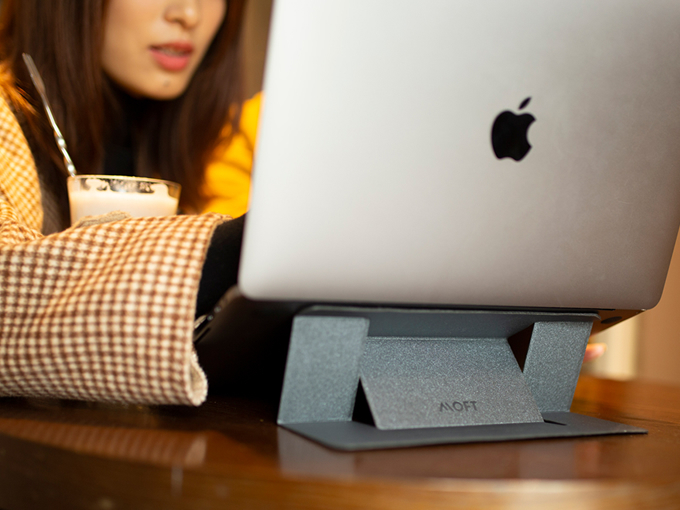 MOFT stand is constructed with unique PU and fiber glass material, meaning it's as strong and stable as other bulkier stands at a fraction of the size! It can hold up more than 18 lbs.